I have finished the charger input side of the system. Electrical parts are $$$ There is over $150 in these photos. 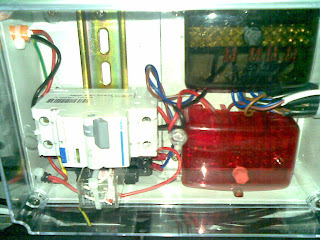 In the ABS box there is a 10A Earth Leakage / Circuit Breaker, Relay that disables the contactors while charging and the Active and Neutral junction blocks. 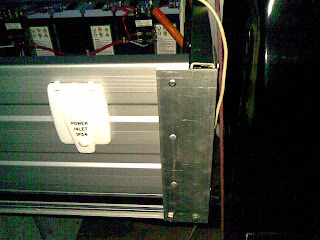 There is a caravan power inlet on the outside of the tray with the earth pin filed for 10A instead of 15A. There is enough space on the DIN rail to add a KWh later.